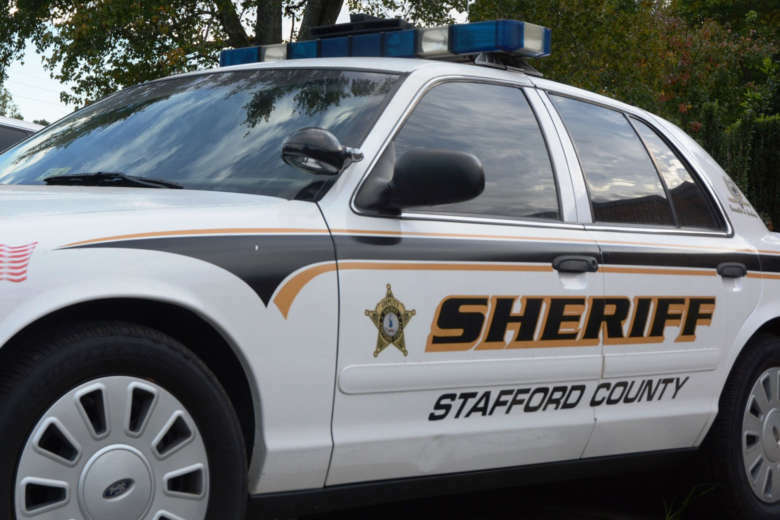 An African-American man from Alexandria, Virginia, has filed a federal lawsuit over the insistence of a white deputy that he show identification after the driver's car broke down in Stafford County last year. The deputy had confirmed to the driver that he had done nothing wrong and wasn't suspected of having done anything wrong, the suit says. WASHINGTON — An African-American man from Alexandria, Virginia, has filed a federal lawsuit over a white sheriff deputy’s insistence that he show identification after the driver’s car broke down. George Wingate, 28, filed a suit in Alexandria federal court claiming his protections against unreasonable search, seizure, and arrest under the Fourth Amendment to the Constitution were violated during the early morning of April 14, 2017. According to the suit filed by Wingate’s attorneys, Victor Glasberg and Maxwelle Sokol, a Stafford County sheriff’s deputy demanded Wingate identify himself, even though he was not suspected of any crime. His attorneys said Wingate’s “check engine” light illuminated, prompting him to pull into a parking lot. He was leafing through the owner’s manual when the deputy — who is being sued individually — asked if he could help. The deputy asked Wingate to identify himself. Wingate declined. In a portion of the exchange, captured on the deputy’s dashboard camera and posted on YouTube in Wingate’s suit, the officer requested the information several times. “Am I free to go?” Wingate asked. “Not right now,” answered the deputy. Wingate asked whether he was being detained; the deputy said he was not. “Then I’m free to go,” Wingate asked. “No,” said the deputy. The deputy said Wingate was committing a crime by not providing his identification. Wingate’s lawyer said the officer’s assertion was false. “Dating back at least forty years, it has been settled law that the Fourth Amendment forbids the involuntary detention of a person for refusing to identify himself or herself to a law enforcement officer if the officer has no reason to suspect possible criminal wrongdoing,” wrote Wingate’s lawyers. After another deputy responded to the scene, one asked: “How can we trust you if you’re not willing to identify yourself? When Wingate said “it doesn’t matter,” the deputies ordered Wingate to put his hands behind his back. “Fearful now for his well-being, and in the confidence that his arrest was wrongful, he impetuously broke free and ran from the car against which he had been held by the two deputies,” his lawyers wrote. Wingate was soon placed in handcuffs. The YouTube video provided by his attorneys does not include Wingate’s sprint from the officers. Wingate was arrested and charged with failure to provide ID to a law enforcement officer, obstruction of justice, resisting arrest and possessing another person’s car title. His attorneys said Wingate was unable to afford to pay the towing and impounding fees, and that eventually his car was repossessed and he lost his job. In July 2017, Stafford County prosecutors dropped all charges against Wingate. Among the claims in Wingate’s suit are false imprisonment, malicious prosecution, and false arrest. “The deputy’s actions and their consequences exemplify the risks of driving while black,” wrote Wingate’s attorneys. Amanda Vicinanzo, a spokeswoman with the Stafford County Sheriff’s Department, said neither the department nor the deputy who is being sued had any comment for now.